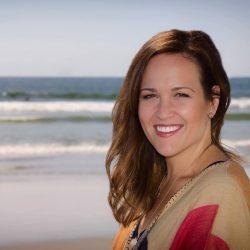 Tara Beth Leach is the Senior Pastor at First Church of the Nazarene of Pasadena (“PazNaz”) in Southern California. She is a graduate of Olivet Nazarene University (B.A. Youth Ministry) and Northern Theological Seminary (M.Div.). She is a regular writer for Missio Alliance and has contributed to other publications such as Christianity Today, Christian Week, The Jesus Creed, The Table Magazine, Reflecting the Image Devotional, Renovating Holiness, and most recently a chapter in The Apostle Paul and the Christian Life: Ethical and Missional Implications of the New Perspective with other contributors including N.T. Wright, James D.G. Dunn, Scot McKnight, and Bruce Longenecker. Her chapter is entitled “The Symphonic Melody: Wesleyan Holiness Theology Meets New Perspective Paul.” Tara Beth is also the author of the forthcoming Beacon Hill Press book, Kingdom Culture (late 2016) and the InterVarsity Press book, Emboldened: A Vision for Empowering Women in Ministry (2018). She has two beautiful and rambunctious children, Caleb and Noah, and has been married to the love of her life, Jeff, since 2006.